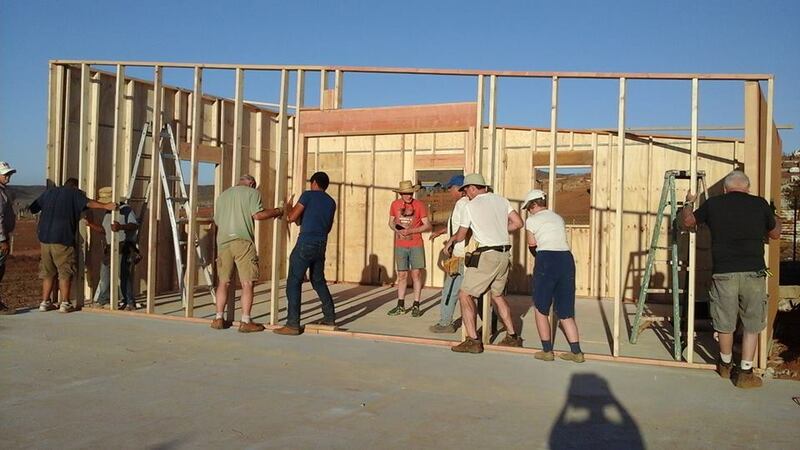 Rotary Team Mexico is on the job site. This build will be two and a half times bigger than our previous structures. Everyone is pumped and ready to work. Rotary Team Mexico charging up for another day - Rotarians help out in the kitchen. 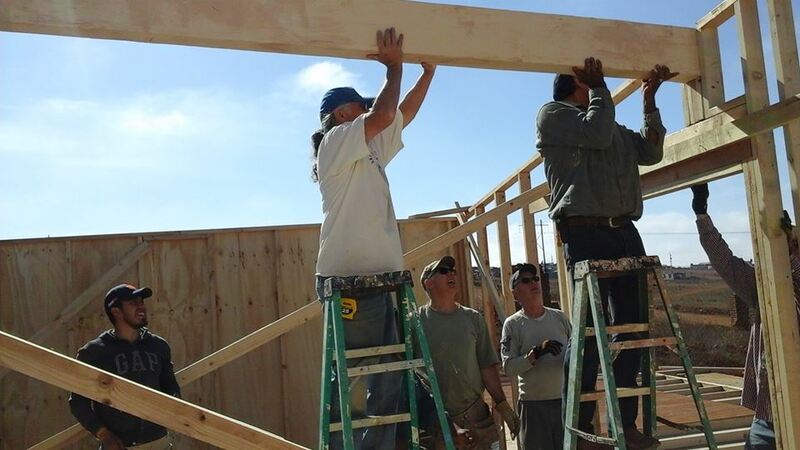 It was a day of painting, painting and more painting ... of framing, sheeting, construction of door frames, and the installation of a giant beam .. and a few "owies" along the way. 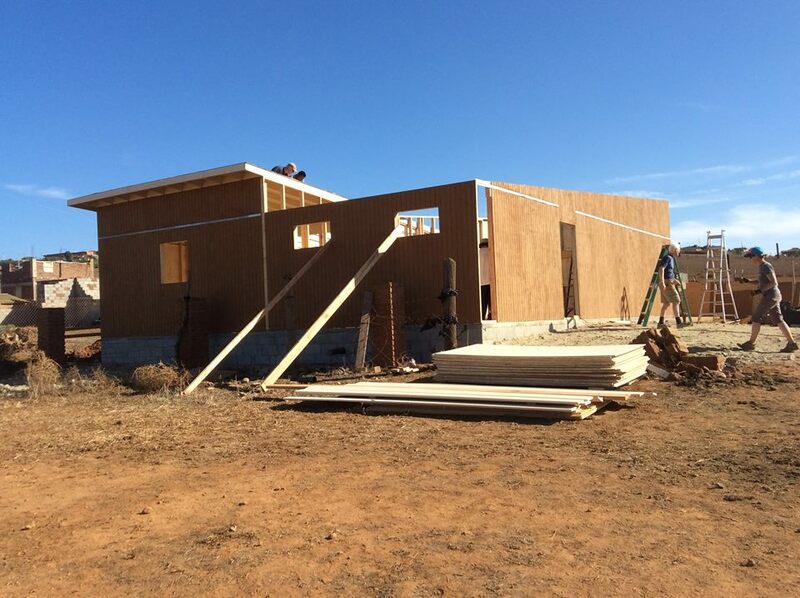 We left the job site with 5 walls up and 3 ready to go tomorrow. 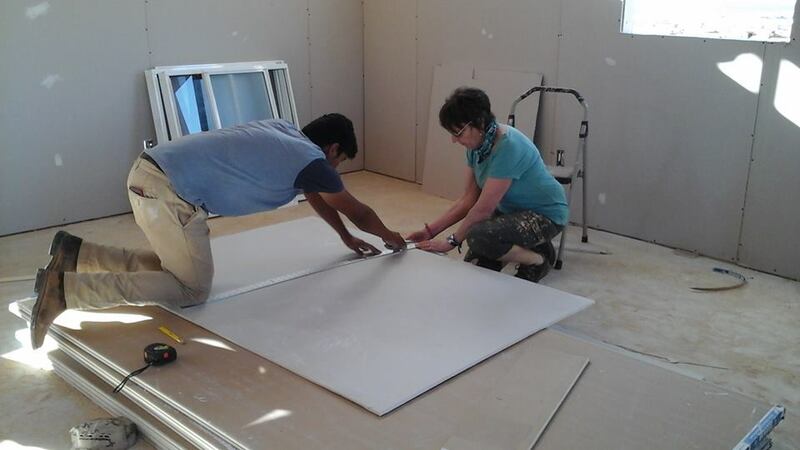 We also had an opportunity to work alongside some of the teachers who will be using the adult education centre when it is completed. We also learned more about the programs that will be taught there - agriculture, baking, sewing, computers, veterinary science and many more. 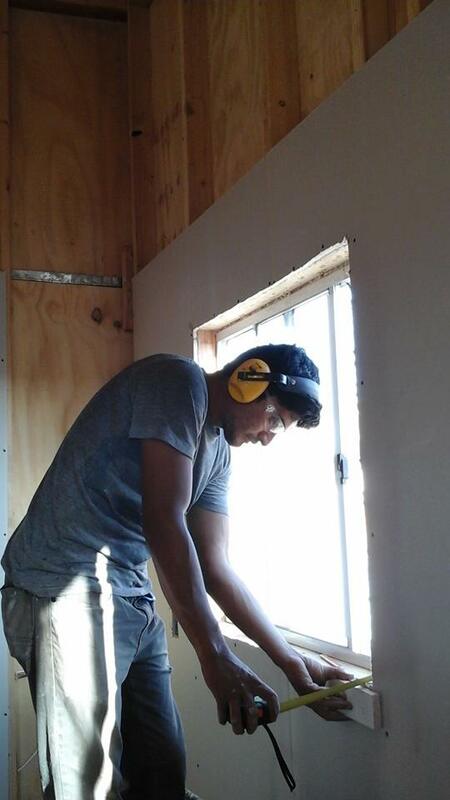 Classes will run 40 hours and will provide young adults with opportunities in their chosen field or the impetus to start their own businesses.There is currently no such facility in the community and the need is great - the first classes are scheduled to begin a week after the building is completed. 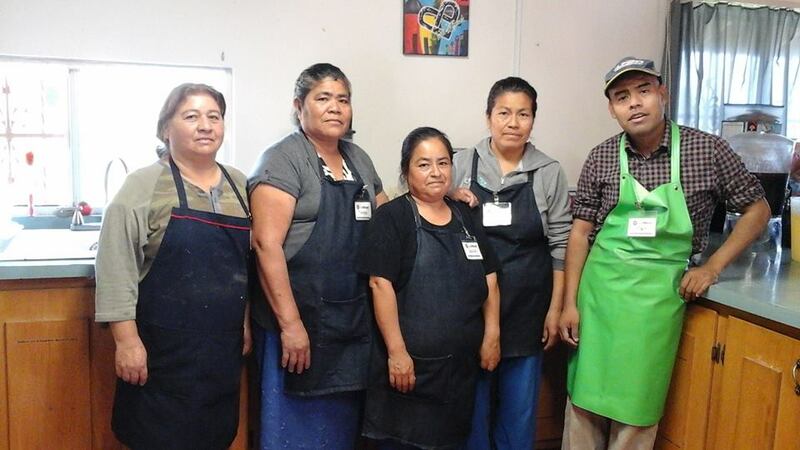 After a long hard day, we are treated to a "muy delicioso" meal, lovingly prepared by Anna and her kitchen crew: (L to R) Dina, Teresa, Isabel, Anna and Pepe. 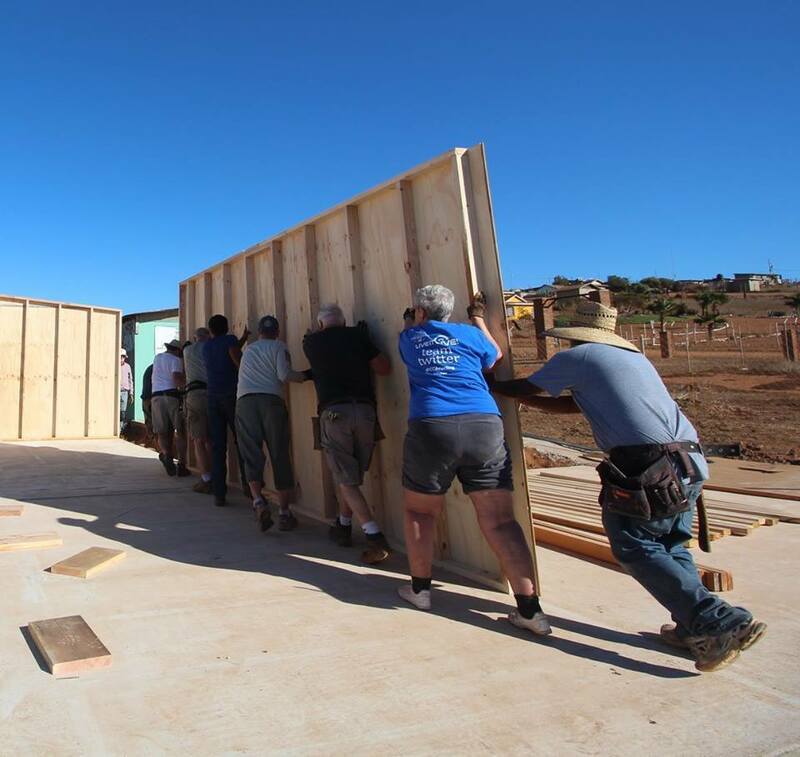 Rotary Team Mexico - today we gained a new appreciation for the ancient Egyptians as we raised and moved 3 massive walls using only human power and coordinated effort. 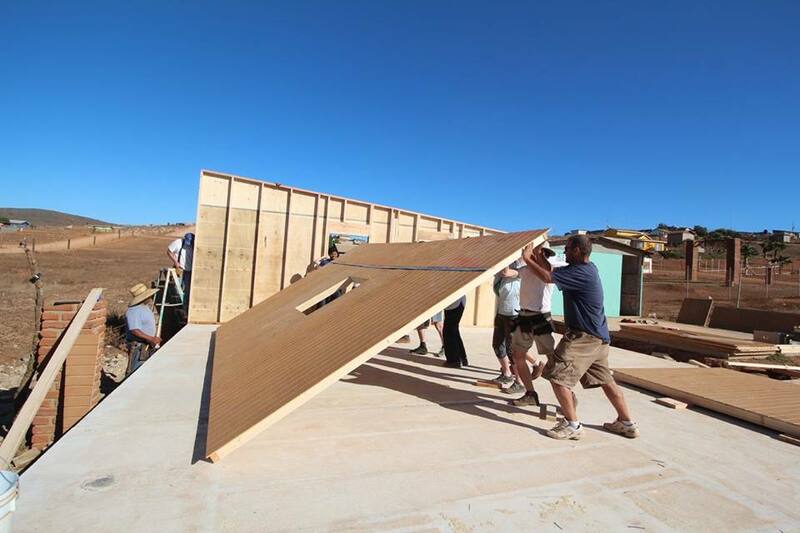 At the end of another day of painting, hammering and sawing, we stood back in amazement to see this 1300 square foot structure begin to tower over the desert landscape. 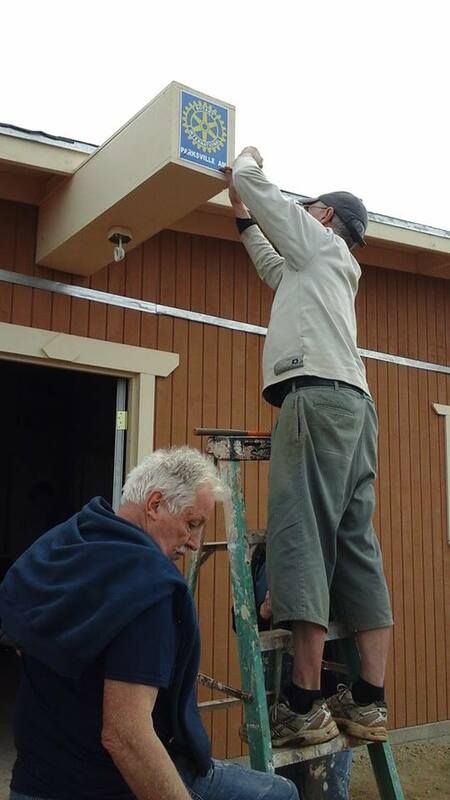 Rotary Team Mexico:Day 4 - Electricity was in the air as wires were pulled and electrical boxes installed. 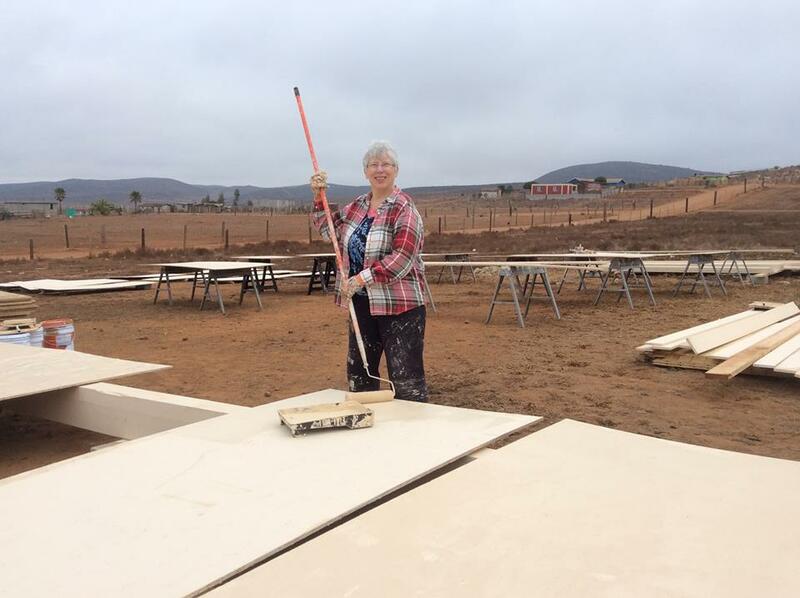 And the dust was flying as drywall panels were put up and mudded, in an atmosphere resembling organized chaos. Those not afraid of heights ventured back up on the roof which will be completed by the end of the day tomorrow. Back in the Live Different trade centre, door frames were completed in preparation for delivery to the site tomorrow. The teachers who will be using the centre have worked alongside us every day, and the excitement is growing. By noon tomorrow, we will be halfway through our build. Dedication Day is February 12, and the pressure is on! 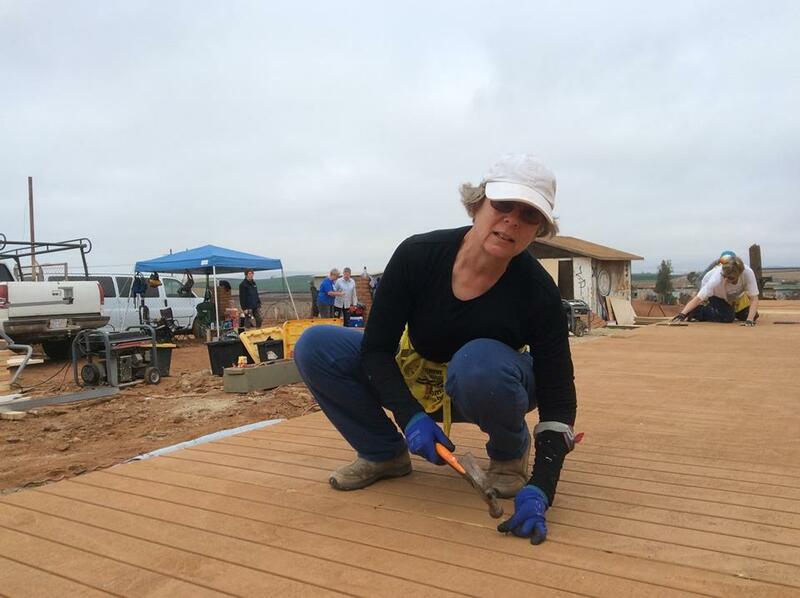 Rotary Team Mexico : Day 5 - The team continues to work together like a well oiled machine, despite the fact that members are falling victim to a mysterious Mexican plague and are dropping like flies - 4 down and 13 to go. 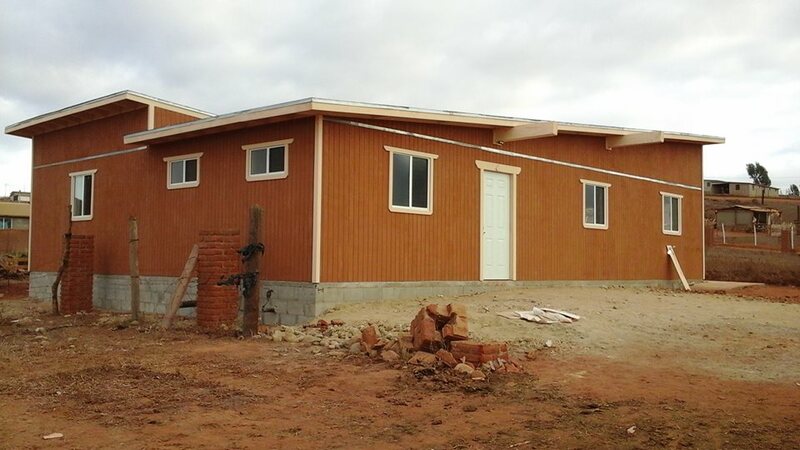 But as one goes down, another rises to take his or her place, and we are delighted to announce that the roof is nearly complete and the entire classroom has been drywalled, trimmed and painted. 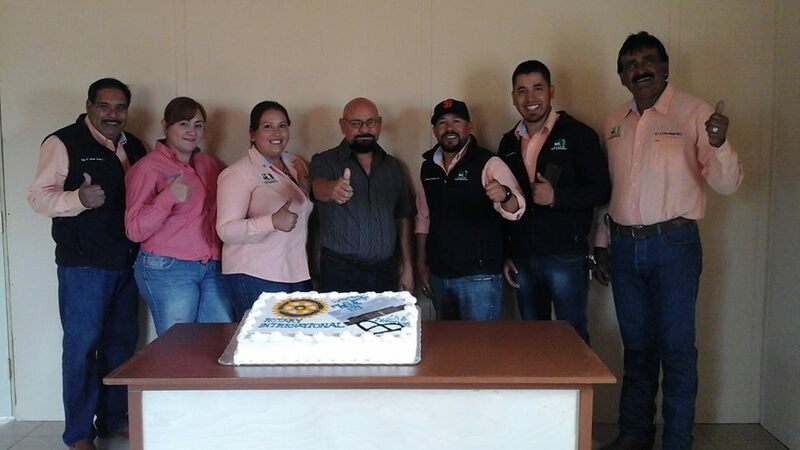 Rotary Team Mexico works in partnership with Live Different, a Canadian non-profit organization which does humanitarian work in various parts of the world and which lives by the motto, "life is about people, not stuff". Andrew and Dawn Bernardi are Live Different's managers in Mexico, making sure that all the pieces come together for every build. They are organizers, construction supervisors, material sourcers, mentors and friends. They look after our accommodation and meals, they keep us safe, and they liaise with the local community to ensure that the projects we undertake meet the greatest community-identified needs. They carry out their duties with passion and commitment, and are an inspiration to us all. 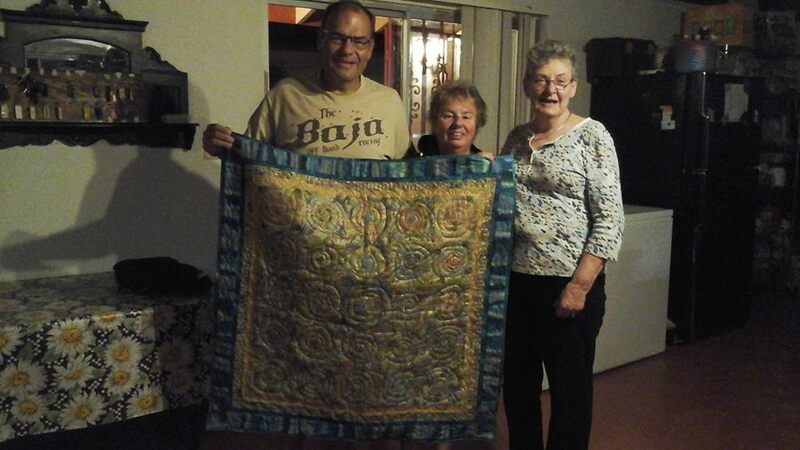 Photos show Dawn and Andrew being presented with a mosaic symbolizing last year's build created by Deidre Michael and a quilt designed by Louise Wright, both members of Rotary Team Mexico. 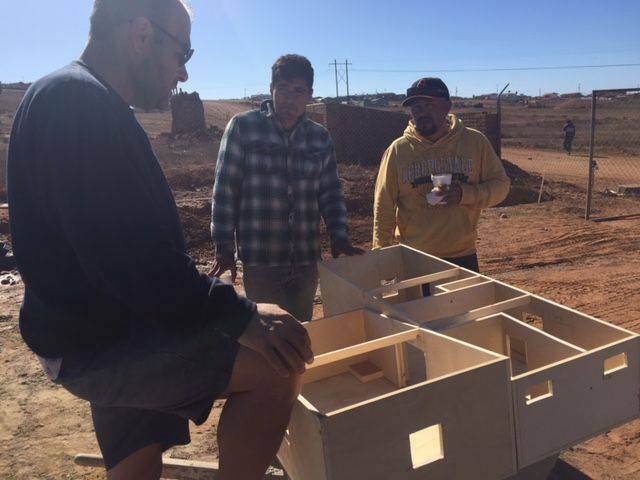 Dawn and Andrew are joined in their life's work by Felipe and Elias who act as Live Different on-site building staff members and translators. 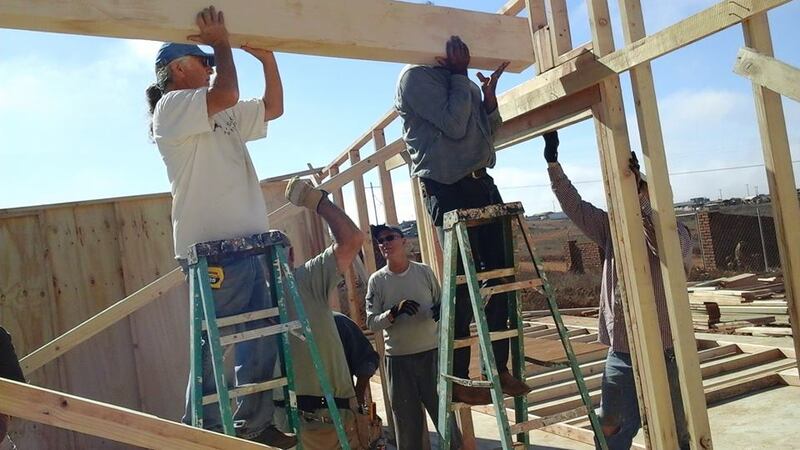 These young men bring their solid construction skills, their enduring patience, their passion for making their community a better place, and their sparkling smiles. Rotary Team Mexico wishes to thank Andrew, Dawn, Felipe and Elias, without whom "Build 2018" would not be possible. 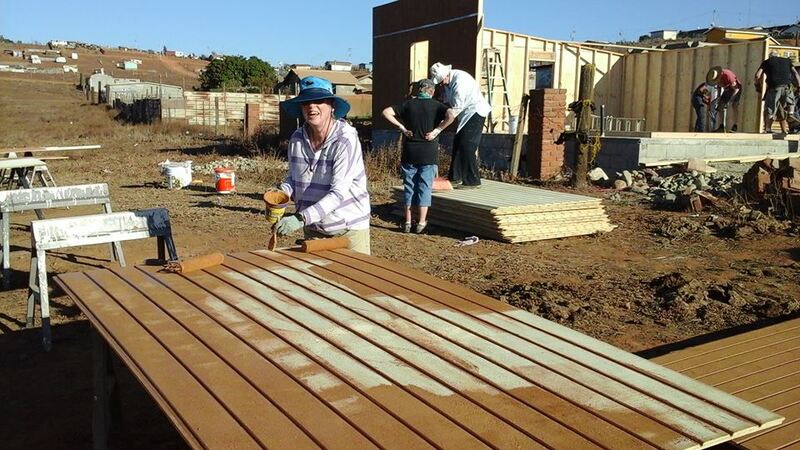 Rotary Team 6: Day 8 - Today was the last full day of our build, and we would be remiss if we did not mention a integral part of our team. 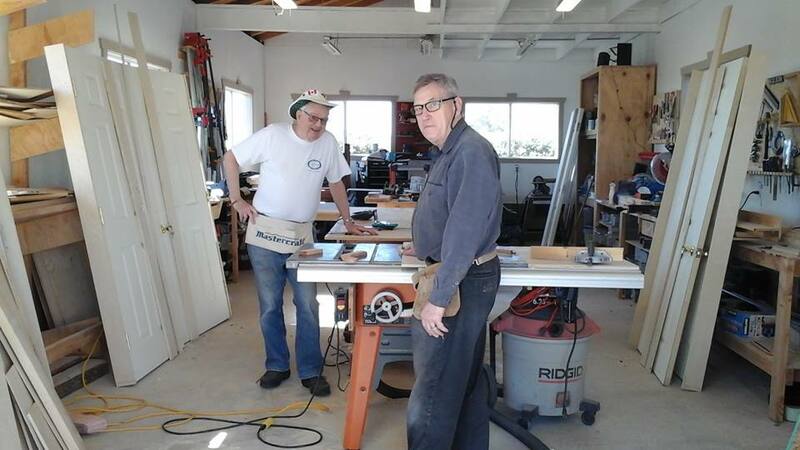 Jim McFarlane has been with us as a volunteer on our last 3 builds. He is a Canadian citizen, living in California, and he is a fan of Live Different and the humanitarian work they are doing in Mexico. 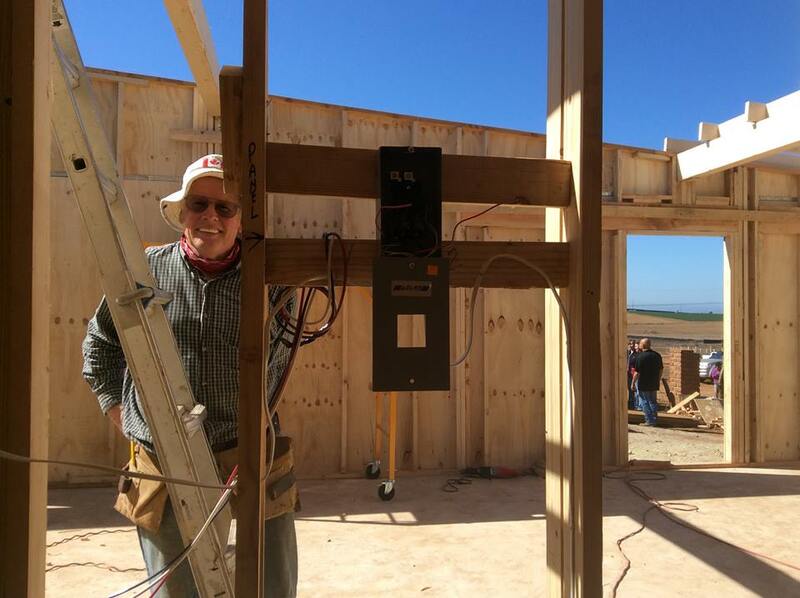 Volunteering for a Live Different build means a 16 hour non-stop drive, and Jim has done it 6 times. 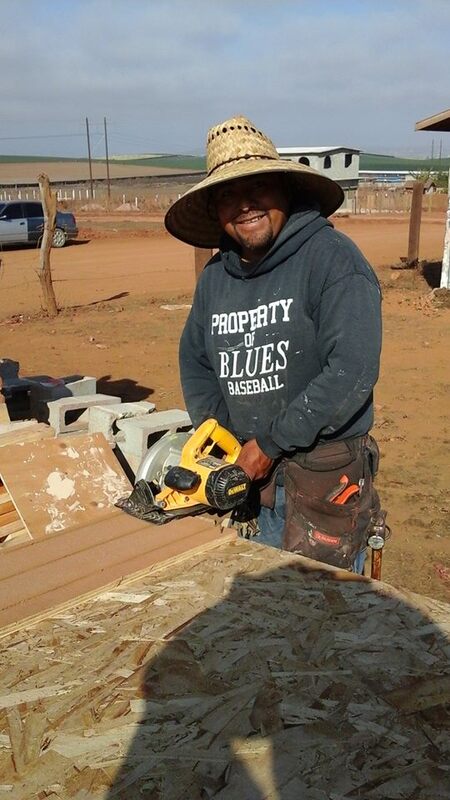 Jim has a background in construction, and he is an invaluable source of information, technique, and safety procedures ... oh, and he has a sense of humour and some great stories too. 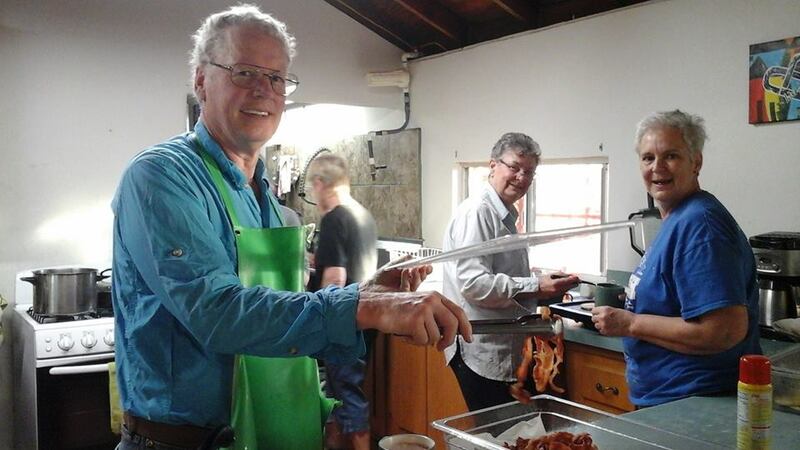 Jim believes in "giving back" and he has been known to buy cakes for kindergarten children or windows for our Centre that he thought should be added, even when they weren't in the budget. 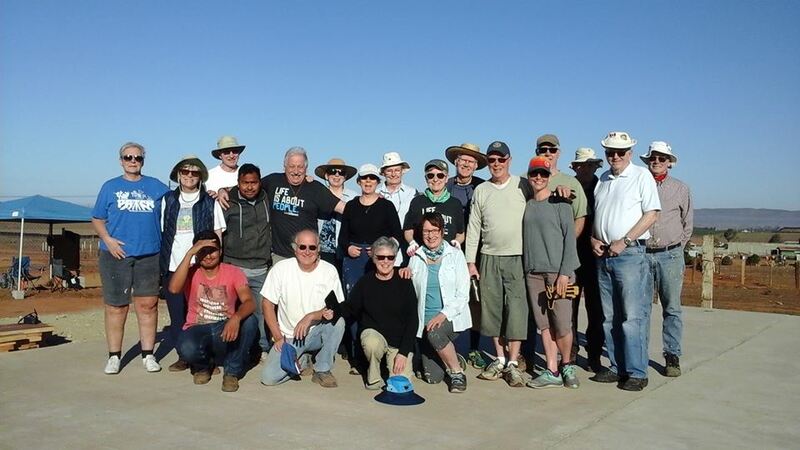 Jim made us promise that we would mention that he loves working with Rotary Team Mexico, and specifically that "the women in the group work really hard"! As far as we're concerned, it's a mutual admiration society. 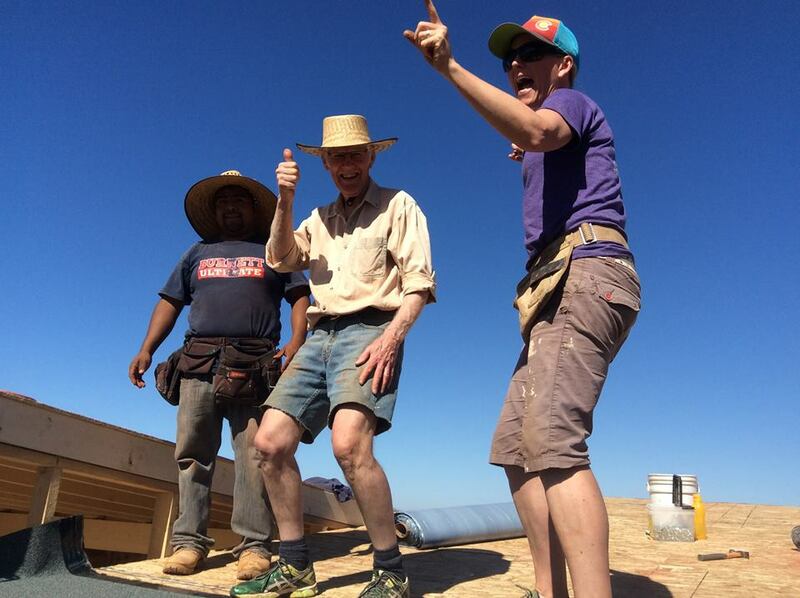 Thank you Jim for your kindness, your enthusiasm, and for your many contributions to the success of this build. 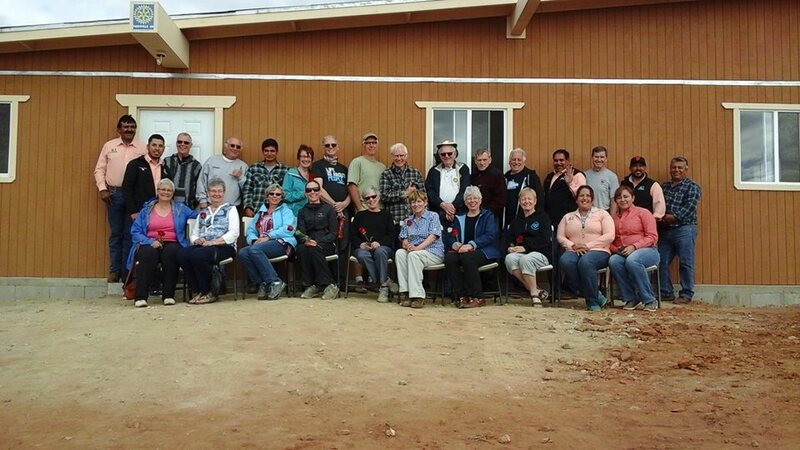 Rotary Team Mexico: Day 9 - After eight and a half days of sawing, hammering, framing, painting, roofing, tiling, grouting, drywalling, trimming, inserting doors and windows and installing electrical outlets, dedication day arrived and the teachers of Brigade 54 are now ready to start putting their building to use. As one teacher so eloquently stated, we are all leaving a piece of our hearts in this structure. The teachers will now ensure that it is cared for and fully utilized for the benefit of the whole community. Tributes were also paid to the young student architects, Jesse Avagas and Gisel Villa, who spoke of their joy at seeing their design move from paper to reality where it will offer not only training, but hope for other young adults like themselves. The teachers had arranged for a delicious lunch, capped off by a fabulous cake made by Vicki, the baking teacher. "Muy rico" indeed! 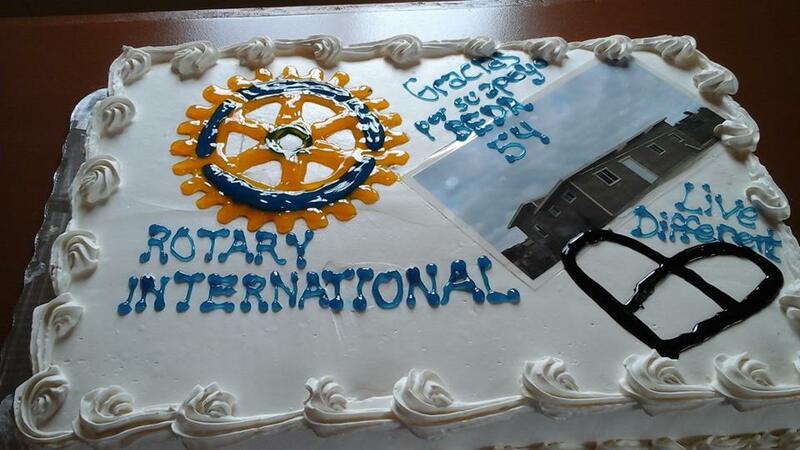 And with the building already in use, Rotary Team Mexico signs off for now, but not forever.